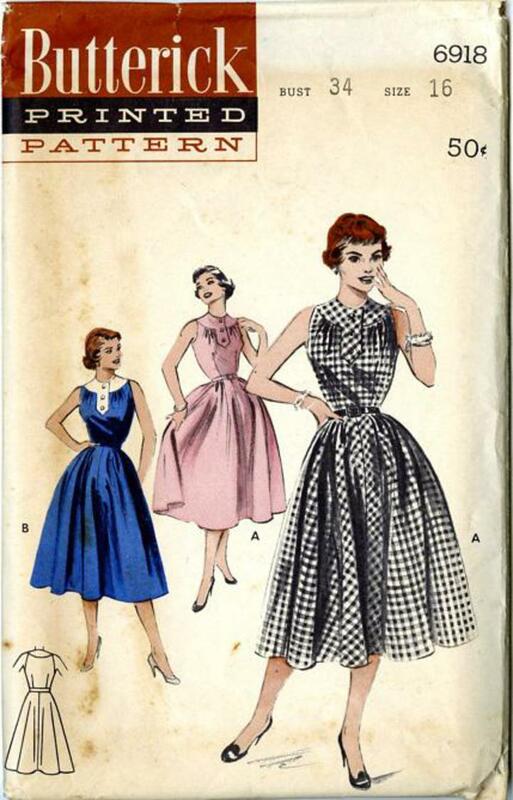 1954 Butterick #6918 vintage sewing pattern, misses' bare-armed casual dress, plus size 16. Your choice for all day wear - a smartly styled bare-armed casual with a comfortable skirt. 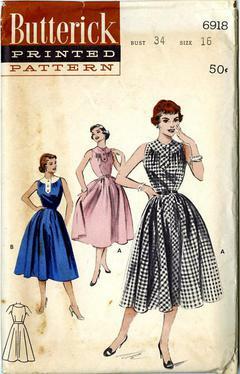 Rounded bodice yoke and button-accented tab are cut-in-one, all one fabric. Skirt has fore gores.